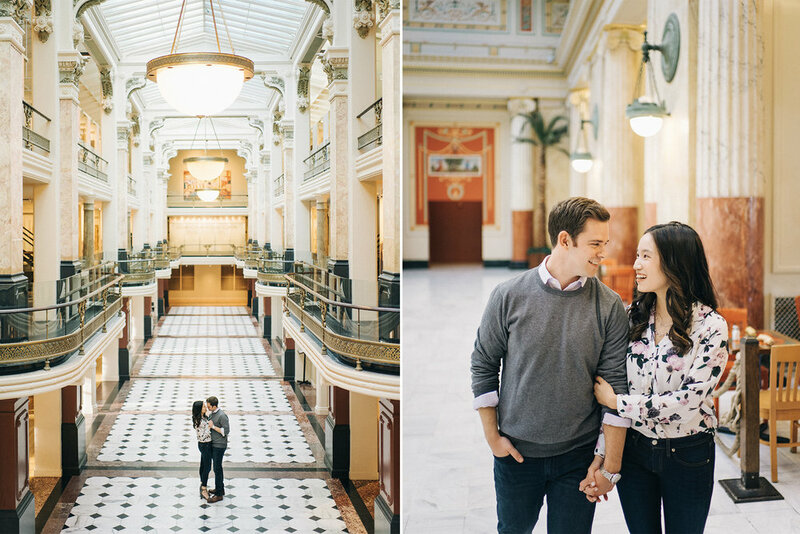 Moving to another city to be with your significant other can be a difficult transition, but shortly after Maria moved to Washington DC to be with Patrick, she knew that exploring the city together would be a perfect opportunity to do engagement photos. So I flew out for the day and we ran around the city from Union Station to The National Portrait Gallery (and spending a very typical DC rush hour in traffic) and finally ending up at The Lincoln Memorial for one of the most magical sunsets I've ever experienced. One of the first qualities I observe in a couple is how much enthusiasm they have for their wedding. The planning process can be difficult and stressful, and often that can sap the couple of their excitement. But from the moment I met Calvin and Shelley, I was struck by how excited they were to be getting married. Nothing was taken for granted, and they seemed truly enthusiastic for every part of the day. That gratitude and excitement was the hallmark of their wedding for me, and resonated throughout the whole celebration. Finding your soulmate isn't always easy, and for many people it takes decades. And yet, for others, it's their first love that lasts forever. Meghan and Troy's love story started when they began dating in high school, and grew to another level on their wedding day at Zingerman's Cornman Farms in Dexter, Michigan. Surrounded by their large collective wedding party made up of friends who have known them since even before they fell in love, they said their vows outside under hundred-year-old oak trees, and danced together in a restored old barn. Even with over 200 guests, they managed to make everything feel intimate and personal. Some people just seem to have it all figured out on a different level than the rest of us, and that is exactly how I feel being around Alice & Brian. Their style, their wedding, their friends, and even their love story seem cinematic -- in the way an Audrey Hepburn movie might. With Ali draped in an immaculate white stole, wearing a wholly stunning Behati gown by Hayley Paige, and Brian and his groomsmen in timeless, tack sharp black tuxes, the couple said "I do" steps from the Chicago River at the LondonHouse. 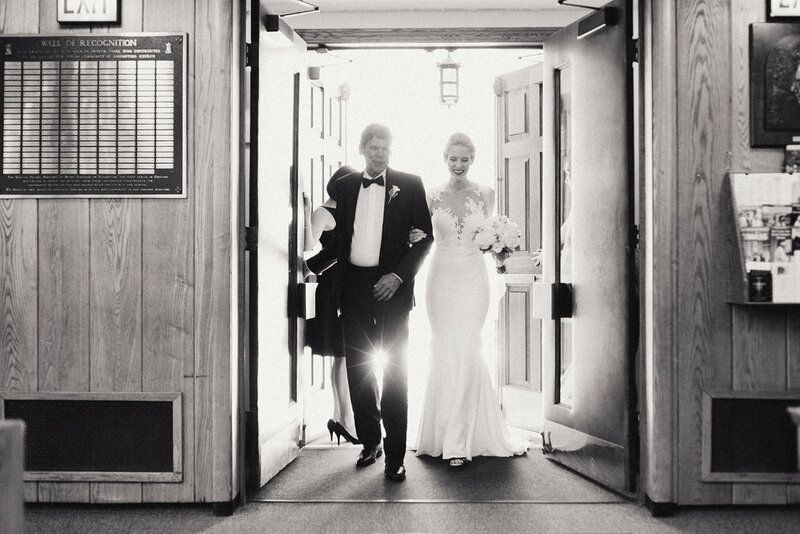 Annelise and Patrick’s wedding was the perfect blend of modern style and sophistication. From Annie’s Sophie Webster flamingo shoes to the bridesmaid’s mismatched gold dresses to the grandeur of their reception at The Murphy, every detail felt like a reflection of them. The love they share really filled the room that night, and can't help but feel like in a hundred (super fashionable) lifetimes, they would always end up together. Any time I photograph a destination wedding, I make sure to do a pre-wedding shoot with the couple to make sure we properly showcase the city where they're getting married. It's often my first time working with the couple, so I also am trying to find out who they are and what makes them look and feel their best. With Joe and Hannah, that all happened so naturally. 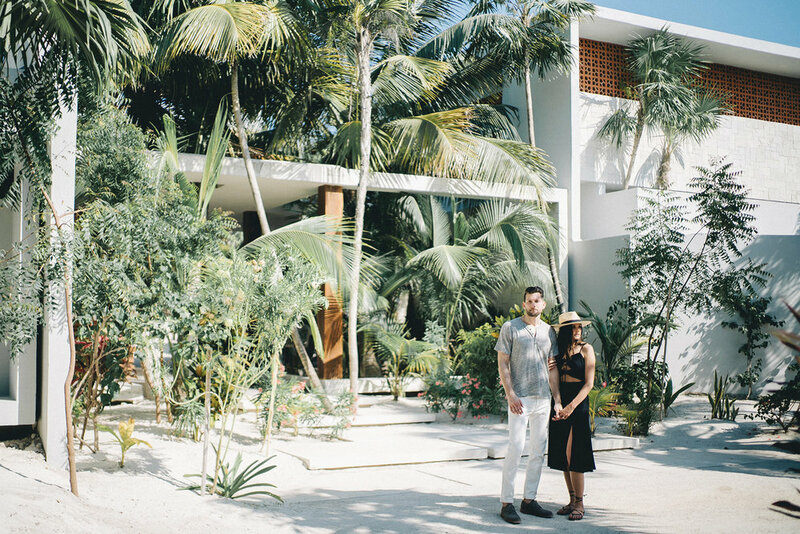 Five minutes after meeting them in Tulum, it felt like we'd been friends for 10 years. We explored the streets and buildings that brought them there, ending up at Coqui Coqui, an impossibly gorgeous boutique hotel and perfumerie on the ocean. The whole day was a perfect example of why pre-wedding shoots can be so meaningful.